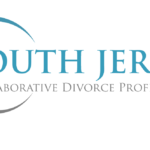 What is the best way to divorce in New Jersey? The answer to this question depends a lot on your goals, circumstances, and the dynamic between you and your spouse. Many people are familiar with only one way to divorce. It is the litigated divorce process that people are most familiar with. Thanks to movies like the 1989 blockbuster, War of the Roses, it is typically the no holds barred, knockdown drag out, messy court battles that people picture in their minds when they think of divorce. 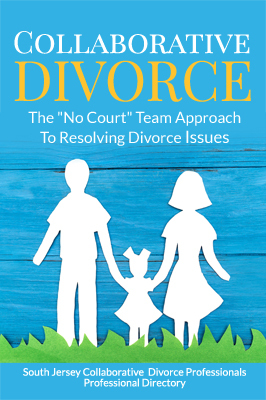 The truth is, most divorce litigation never ends up in front of a judge. The majority of cases are settled. Divorce is an emotionally overwhelming event and when you put someone who is under that type of emotional stress into a legal process that was created for determining who’s right and who’s wrong, it can sometimes become contentious. Under those conditions, and given the nature of the litigated process, it isn’t surprising at all that things can sometimes become adversarial. In other words, divorce clouds our thinking. It makes it hard to think clearly, and make rational decisions based on future goals. Because litigated divorce often puts the focus on the past, little thought is focused on solutions for the future. When another party makes accusations and threatens litigation, it’s only natural to take a defensive position. This posturing is part of the litigated process some parties use to leverage the other to concede to certain demands. We may not be able to make divorce less painful. 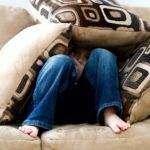 We may not be able to ease the pain of the overwhelming emotional roller coaster that most people experience. 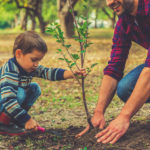 What we can do is offer a better way to divorce that creates a supportive environment that is more conducive to forward thinking and solution-oriented negotiations. This better way is collaborative divorce. 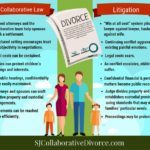 Collaborative divorce is an alternative dispute resolution method that takes litigation off the table. It removes the legal posturing that creates a defensive environment. 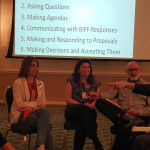 Collaborative divorce puts a team of trained collaborative professionals to work on your behalf to help you negotiate mutually acceptable resolutions to all of the disputed issues. Both spouses still have an attorney who represents them and is an advocate for their best interest. But the role of the collaborative divorce attorney encompasses much more than that. The collaboratively trained attorney is there to help keep negotiations progressing forward. In addition, the spouses have the assistance of a team of collaborative professionals. These include financial neutrals, divorce coaches, child specialist, and advisors. This team of trained professionals works together to help the spouses find creative solutions that are win-win for all parties. And what could be a better way to divorce than that? Click here to take a short quiz to learn more about whether collaborative divorce might work for you.